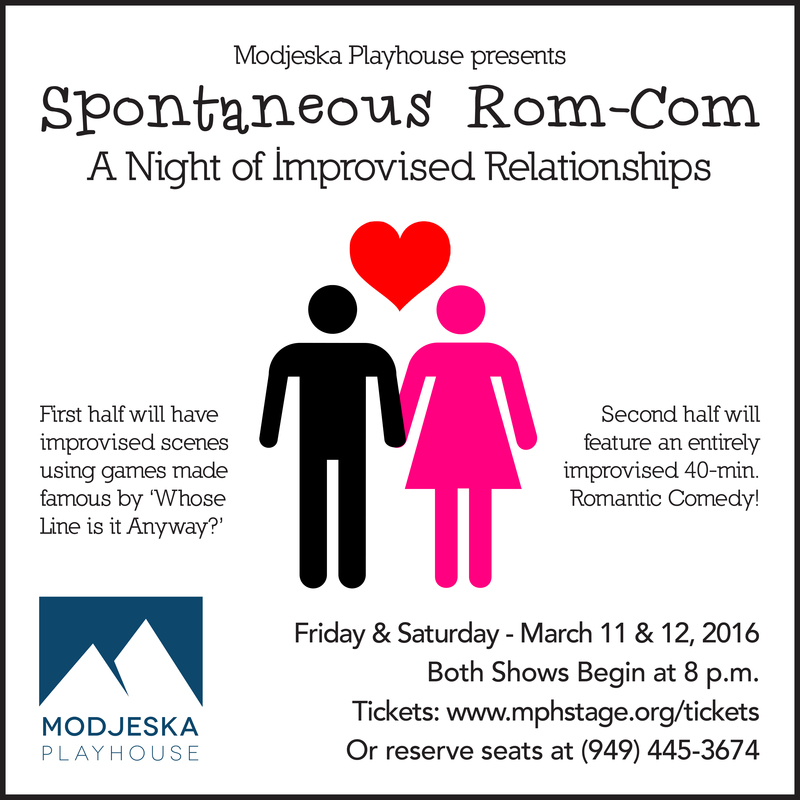 Modjeska Playhouse presents our latest improv show: SPONTANEOUS ROM-COM! Come spend an evening with Modjeska Playhouse’s cast of Improvisers! Act one will be comprised of improvised stories and scenes using games made famous by ‘Whose Line is it Anyway?’ Then, after a brief intermission, the cast returns and improvises an entire 40-minute romantic comedy full of all the meet cutes, romantic tensions, defining moments and classic Rom-Com tropes you would expect from any date night movie staring Tom Hanks, Meg Ryan or Sandra Bullock. All completely made up on the spot with only the help of a single suggestion made by a member of the audience! Show starts at 8 p.m. both nights!